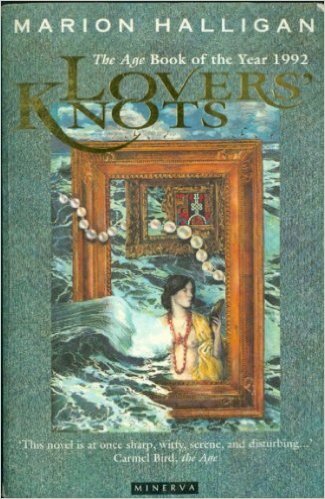 Halfway through Lovers’ Knots, which is among the most successful and acclaimed of Halligan’s novels, Halligan breaks the fourth wall (a ploy she no doubt rinsed from Inception‘s Mr. Charles) to address the reader directly and show you what her theory of life’s disorderliness will mean for the book. At the end of a chapter which has danced lightly and self-consciously over several generations of people in order to bring you into the life of a new character, Halligan writes, “You could write a thousand-page novel to get to this point; a block-busting, best selling, negotiating the miniseries in however many digits, retiring to the tax haven of your choice, unputdownable, RSI inducing, airport haunting novel. Instead of a neat little chapter of what, seven pages? 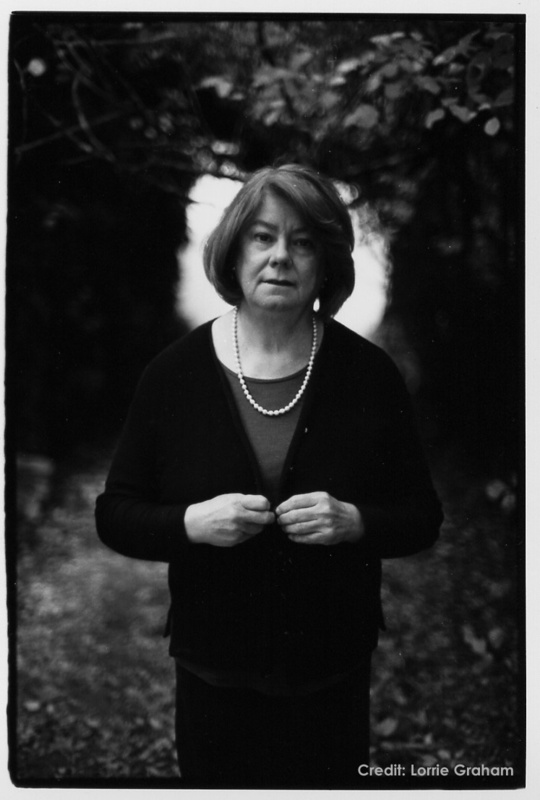 six?” It is Halligan at her most deliberately self-aware, informing you that while this may be a hundred-year novel, she will be the one picking which of those years, and which moments in them, are in focus. This is a bloody difficult thing to pull off: announcing that closure doesn’t exist, that interwoven narratives are less elegant ballet than slimy tangle, and that you as a reader are about to spend 400 pages (admittedly not 1000, but still) with an author who intends to embrace the chaos. Well, Halligan does it beautifully, holding it together with a philosophical mind and a marvellous brevity with which she draws complex, vivid and loved characters. It’s Franzen without the creeping dark. As much as it ducks around, there is a family at the centre of Lovers’ Knots: the Grays, starting with Ada and Albert in Newcastle in the early 1900s, and ending (sort of) with Sebastian in the early 2000s. In between these two points are almost thirty sons, daughters, husbands, sisters and related peripheral characters, and while they don’t all get a solid look-in, the ones who do are clear and brilliant. First is George, son of Ada and Albert, a stiff, selfish sort with a fascination for the occult and minor religions. Another is Lily, his sister, who marries a sensual, brutish Irishman named Joe. One of George’s daughters, Veronica, is central. She is an intelligent, sensual woman who falls for Mikelis Ballod, a photographer whose mother emigrated to Australia from the Baltic. Mikelis’s relationship with Sebastian, and with a writer named Jack Hawley, are through-lines. And then there is Lily and Joe’s granddaughter Robyn, and her daughter Jade, who (along with Sebastian, b. 1983, and George’s ageing wife Alice) make up the most contemporary moments of the story. It becomes clear early on that you are meant to hang on to these characters and their stories with a loose grip. It is better to let them slip through your fingers than attempt to build something out of their cascading lives. Once you accept this, the sensation of the book is one of fulfilling multi-dimensionality. There are blossomings, serendipities, infidelities, shootings, deaths and self-discoveries, and it is only as you near the end of the book that you find you have developed complex relationships with several of the characters, without ever feeling that those who were given less time on the page were somehow less well represented. A single scene describing the way Joe makes love to Lily, for example, is enough to explain the carnal, unknowable cement of their marriage. That said, it is the characters who are given focus that deliver the harmonies, the momentary “lovers’ knots”, that make this book stay. In each lovers’ pair, and in the passions and beliefs that disturb and compel them as individuals, Halligan imbues her novel with immense humanity. Mikelis’s urgent desire to multiply the number of truths and talents in the world; Jade’s struggle for women’s rights; Veronica’s constant negotiation of selfhood; Alice’s gentle, gradual ageing; and Zoe’s perfection of an unorthodox family unit – in each of these, you are reminded that this is a novel written by an author who does believe in and cherish the moments when the chaos of human existence resolves, for however short a time, into something splendid. So Lovers’ Knots is masterful not because it forms life into something manageable, or because it shreds preconceptions about how a hundred-year novel should unfold, but because it pinpoints and embraces form and formlessness in turn, appreciating the truth of each, knowing the stumbling, accidental beauty of life.